Sprint will offer TigerText’s secure-messaging platform as well as a basic TeleMessage offering to allow doctors and clinicians to send HIPAA-compliant texts. As doctors look to communicate quickly through text messaging without violating the Health Insurance Portability and Accountability Act (HIPAA), Sprint has announced it will offer two secure messaging platforms for health care. They are Enterprise Message-Secure, powered by Israeli secure messaging company TeleMessage, and TigerText’s TigerText Pro. TigerText Pro is a secure mobile-messaging platform operating on multiple carriers. More than 1,000 health care facilities in 38 states use TigerText’s services. 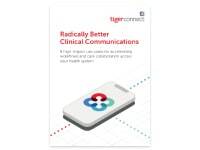 “The growing challenge to improve communication while keeping patient information safe has led to an accelerated demand for TigerText’s messaging solutions,” Brad Brooks, TigerText’s co-founder and president, said in a statement. By accessing TigerText through Sprint, customers of the carrier will be able to streamline their billing through a single vendor, allowing customers to improve their workflow and operational costs, Brooks told eWEEK in an email. Although TigerText can be accessed from any mobile device as a mobile app, Sprint is the first carrier it has partnered with, according to TigerText. 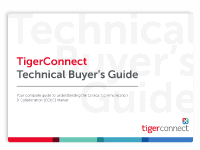 Separate from the June 24 Sprint announcement, TigerText offers a free, consumer version and an API called TigerConnect, which can transmit messages over other services such as Mailgun, SendGrid and Twilio. TigerText messages disappear from mobile devices when they’re no longer needed, according to the messaging company. 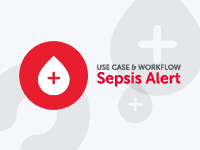 Clinicians can attach files such as spreadsheets, images and PDFs. 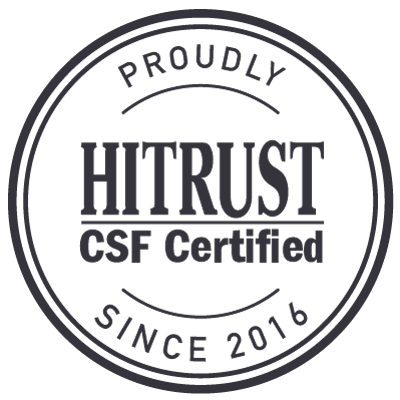 Health professionals can choose between the more robust TigerText platform and the basic Sprint Enterprise Message-Secure service, which operates only on Sprint. TigerText Pro will cost $10.65 per device per month for both iOS and Android. It includes features such as message recall, delete on read, group messaging, and sending and receiving without installation of the app. The more basic service, the Sprint Enterprise Messaging Suite, will cost $3.99 per device per month. It runs only on Android currently, but Sprint plans an iOS version. Both the TigerText and Sprint platforms offer encryption, administrative controls and delivery/read notifications. Sprint’s wireless communication infrastructure allows health care providers to send messages in real time to enable faster interventions and more accurate medical decisions, the wireless carrier reported. Nurses are accustomed to communicating through texting. The secure messaging platforms will allow them to do that on the job in a HIPAA-compliant way, Julee Thompson, Sprint’s chief health care executive, told eWEEK. Doctors and nurses may use the secure texting to share lab results on a patient or to tell the operating room staff a patient is ready for surgery, Thompson said. In addition to doctors and nurses, third parties such as health insurance companies or managers of a hospital’s revenue cycle can also use the messaging platform, Thompson noted. Texting on a platform such as TigerText or TeleMessage allows health care providers to encrypt the messages and maintain an audit trail, Thompson noted. “Nurses are bringing it forward in their day-to-day practice,” Thompson said, adding that the HIPAA-compliant messaging platforms will provide them with additional “confidence” that the texts are being sent in a secure environment.